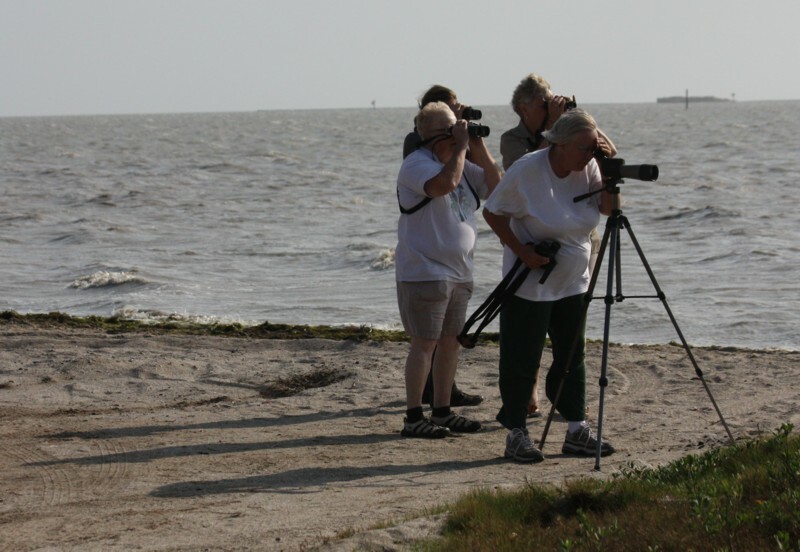 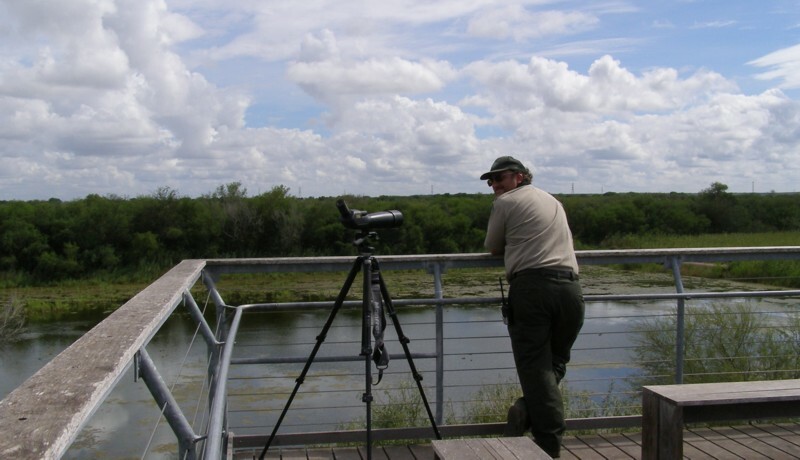 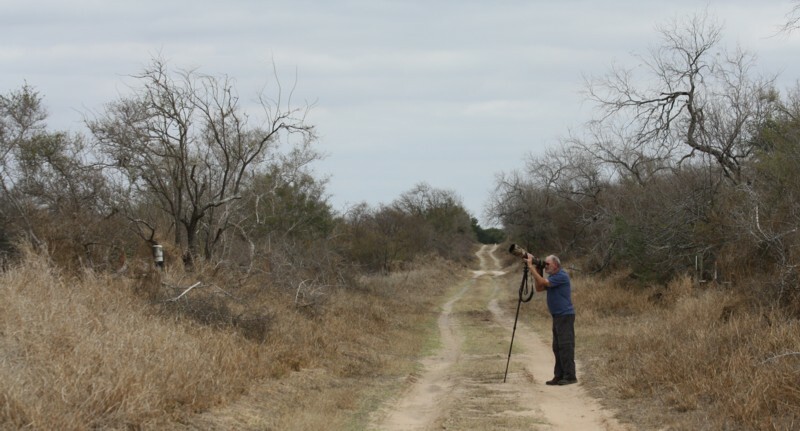 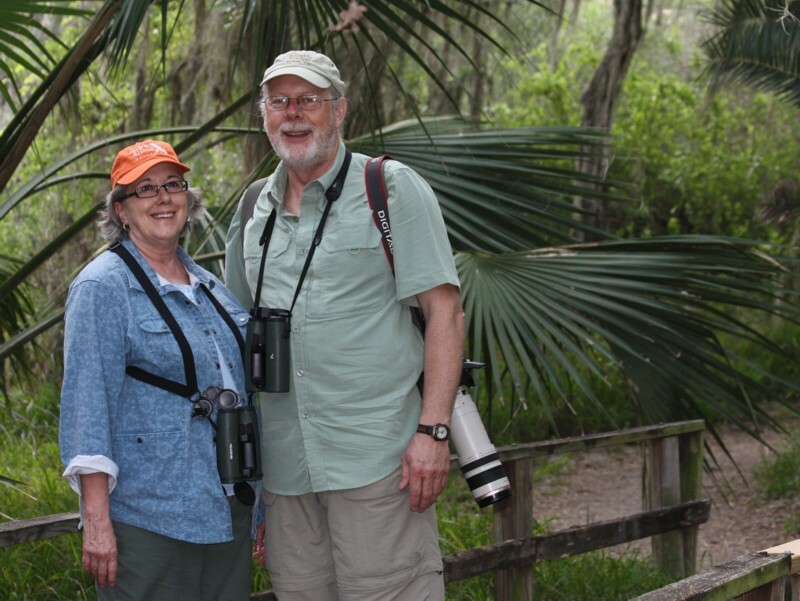 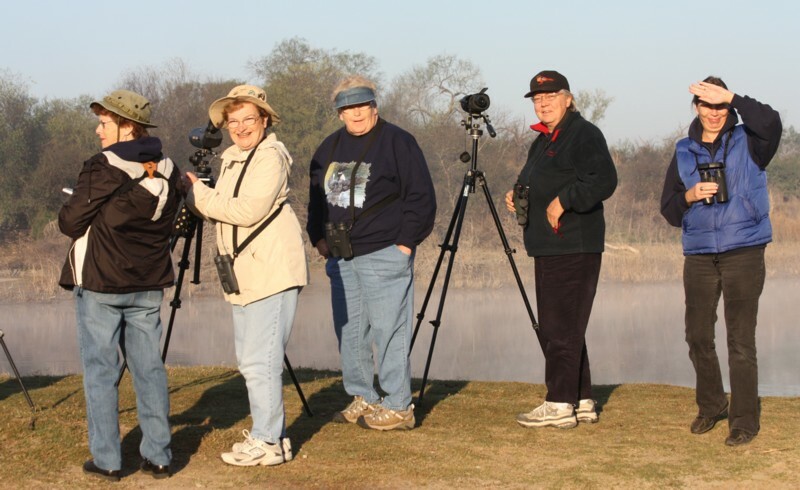 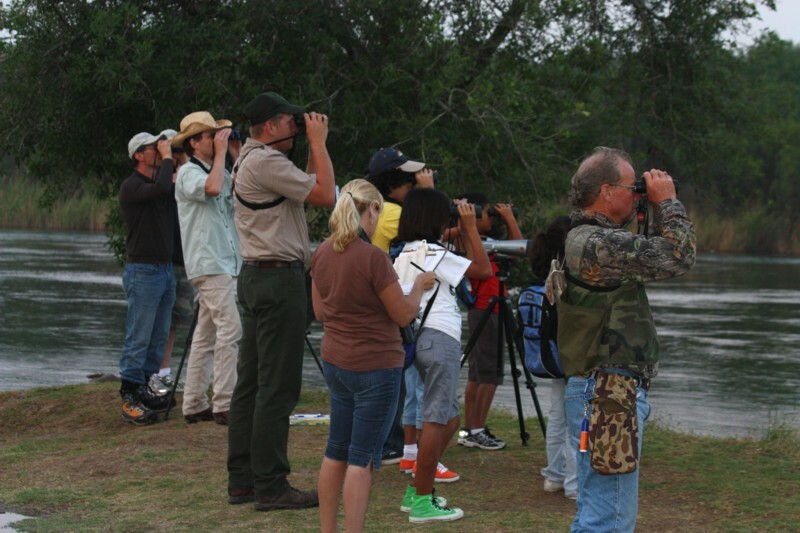 Birders get into the Christmas spirit when North America's first Bare-throated Tiger Heron shows up at Bentsen! 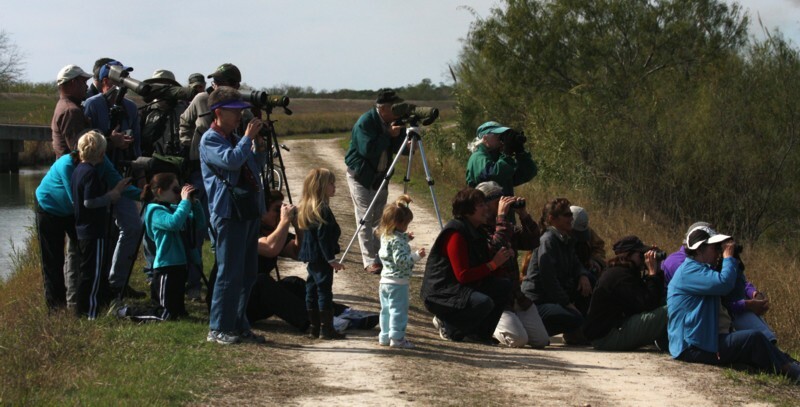 The bird hung around into the new year and attracted all ages! 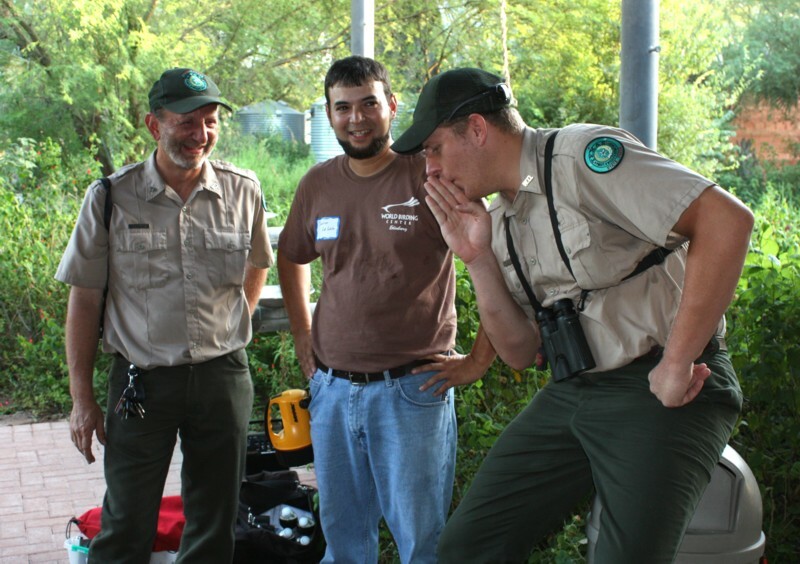 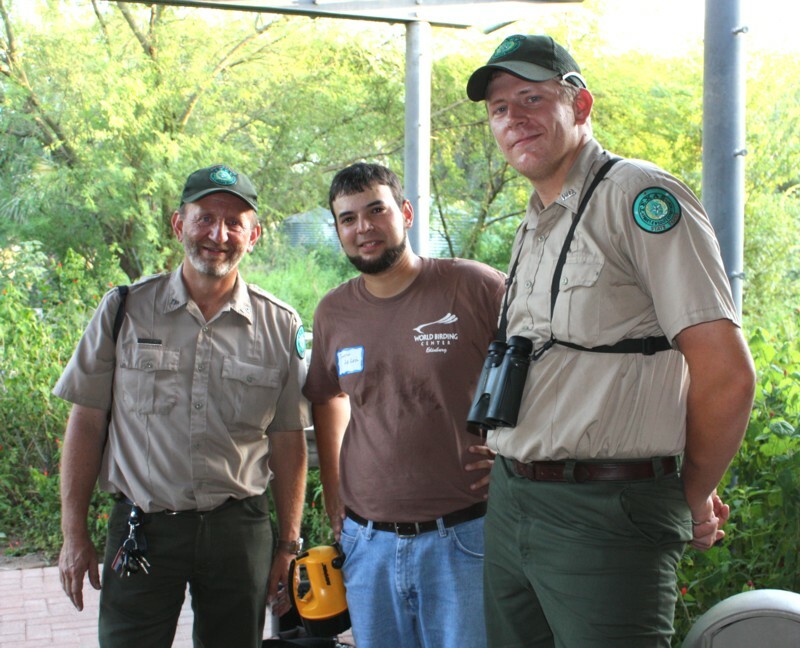 John Yochum, Javier DeLeon, and Kyle O'Haver getting psyched for the Butterfly Fest! 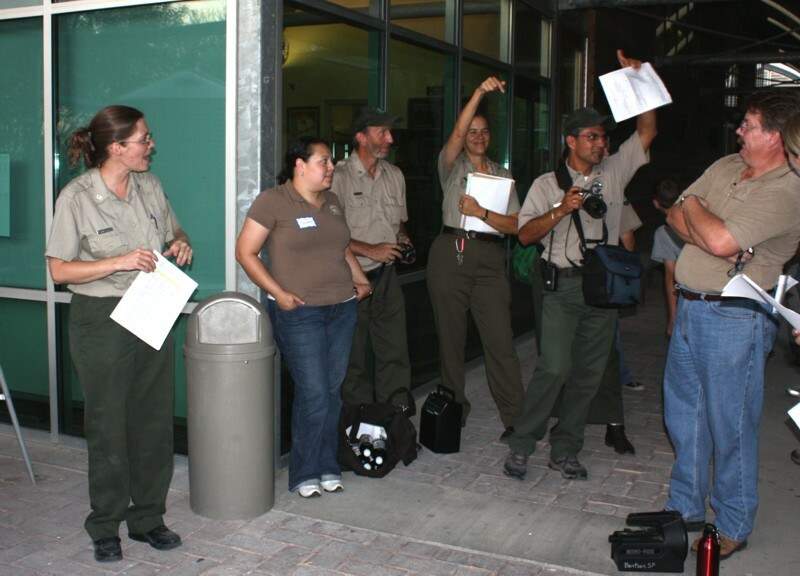 Carol makes sure everyone pays attention to Jose Urribe during the safety meeting (with Jennifer Hall and Martin Hagne)! 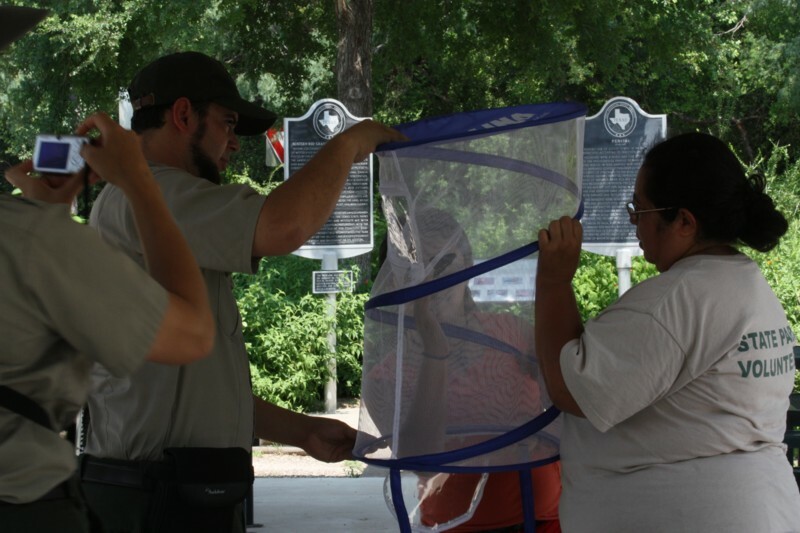 Javier helps a young volunteer release a Black Swallowtail that the park raised! 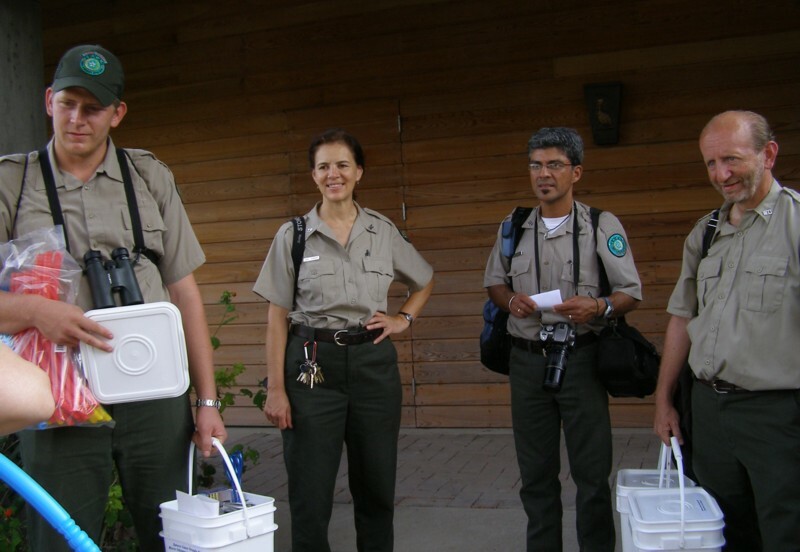 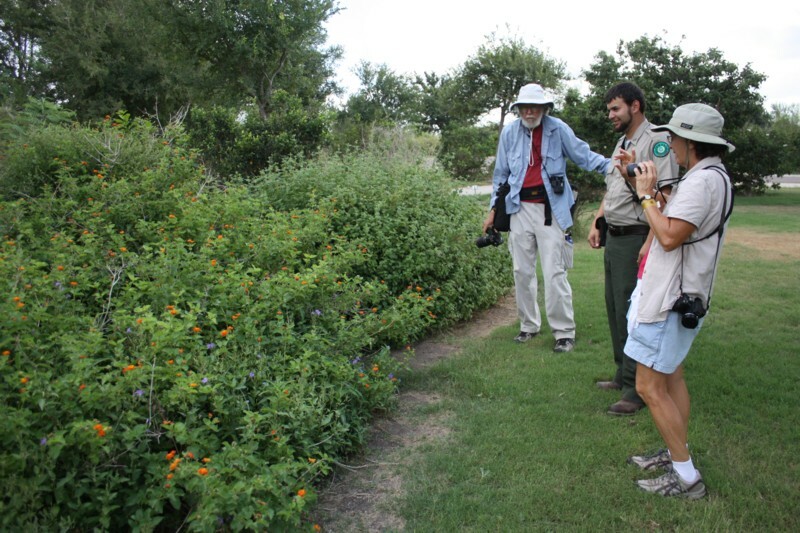 Back out front, Javier leads another butterfly walk joined by Mike Rickard and Ginny Musgrave. 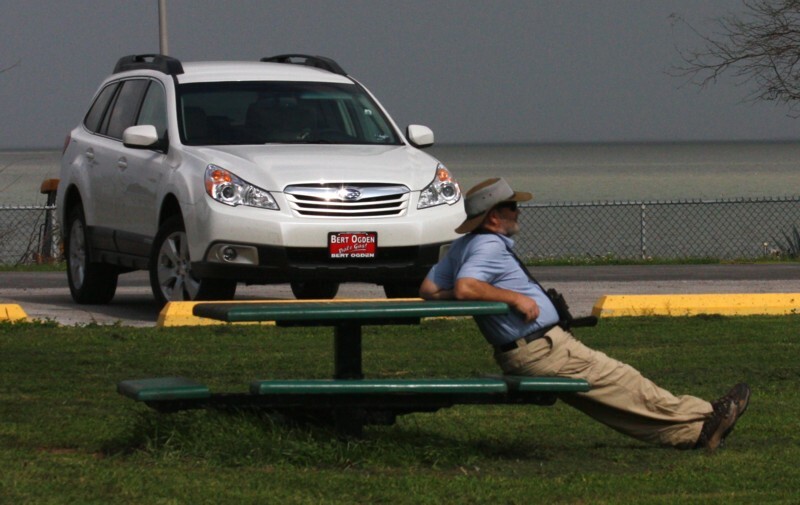 Josh keeping a vigil during the Big Sit competition. 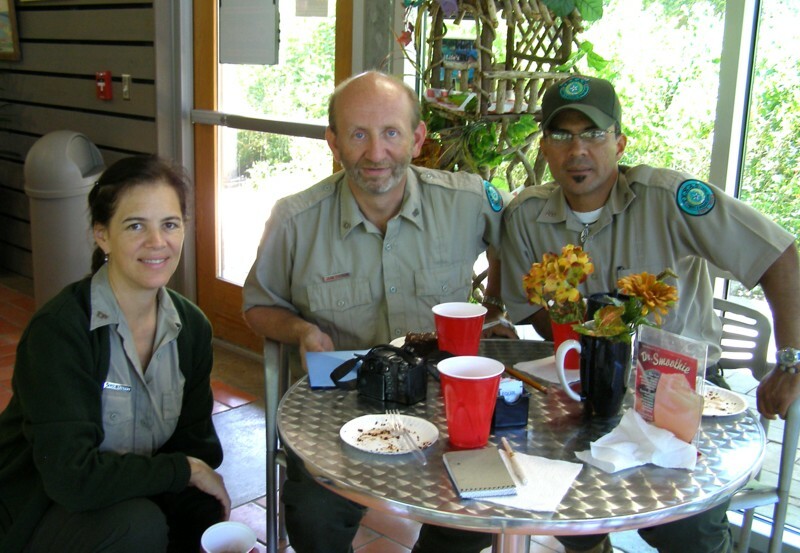 A somber group "celebrating" John's 50th birthday! 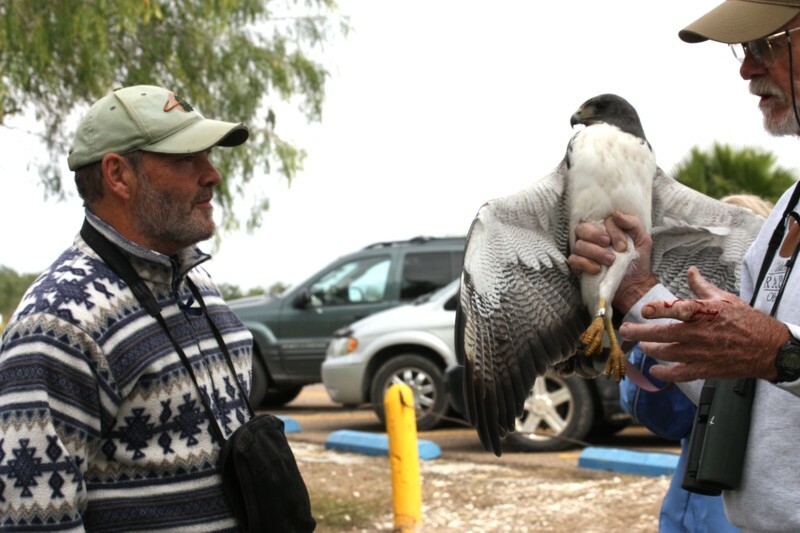 "Just what do you plan to do with that thing?!" 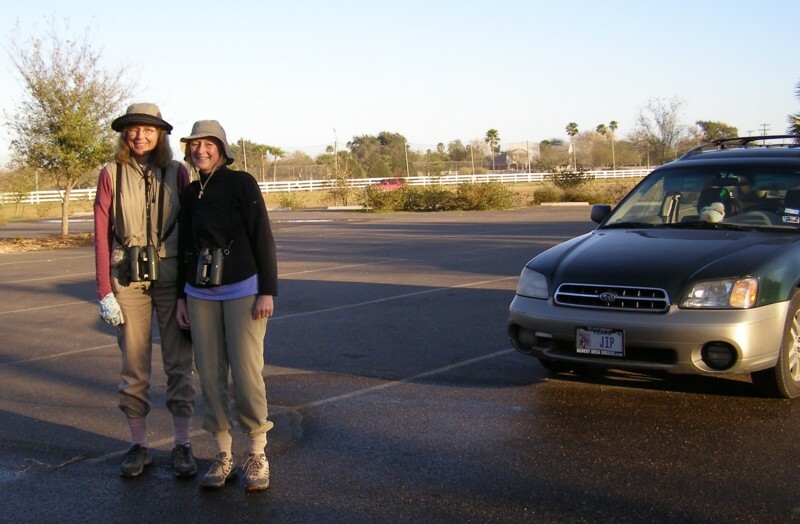 Barbara Carlson and Jan Nordenberg come for a visit from San Diego! 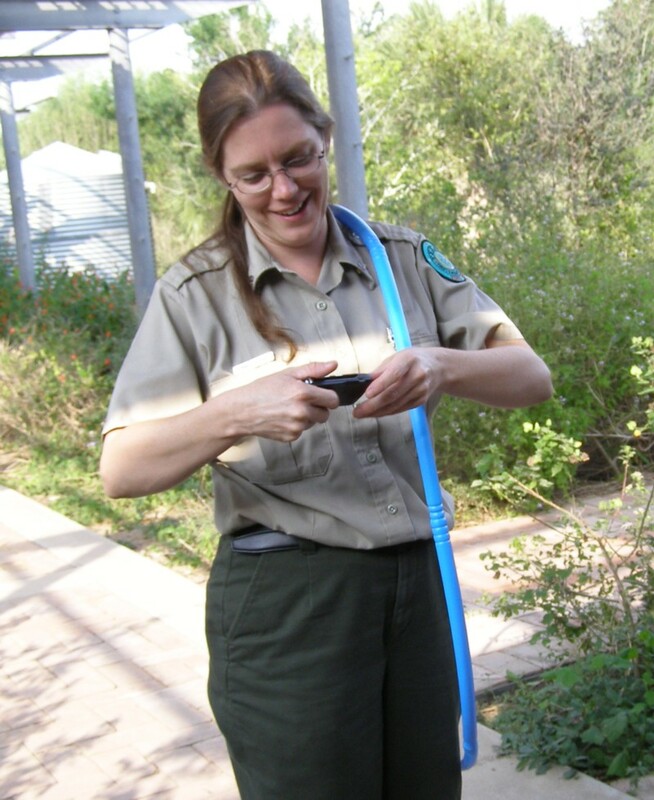 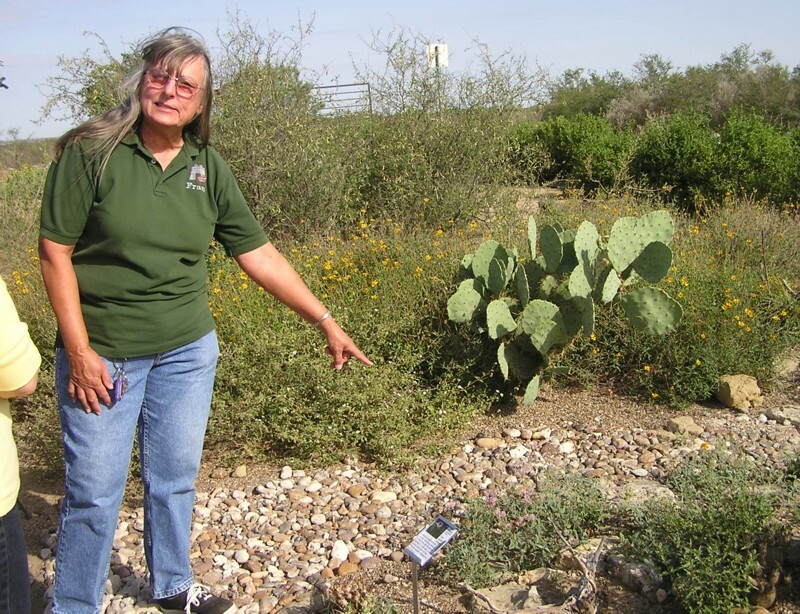 Fran Bartle points out a special host plant in a butterfly garden she built from scratch at Falcon SP! 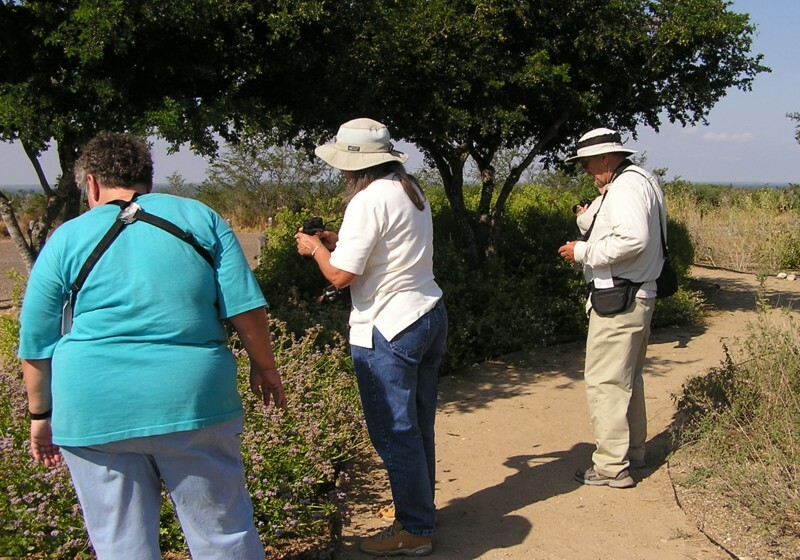 Pat Heirs and Norma Friedrich (plus another visitor from Laguna Vista) are the only ones die-hard enough to join me on a field trip down Wallace Road in the dead of summer! 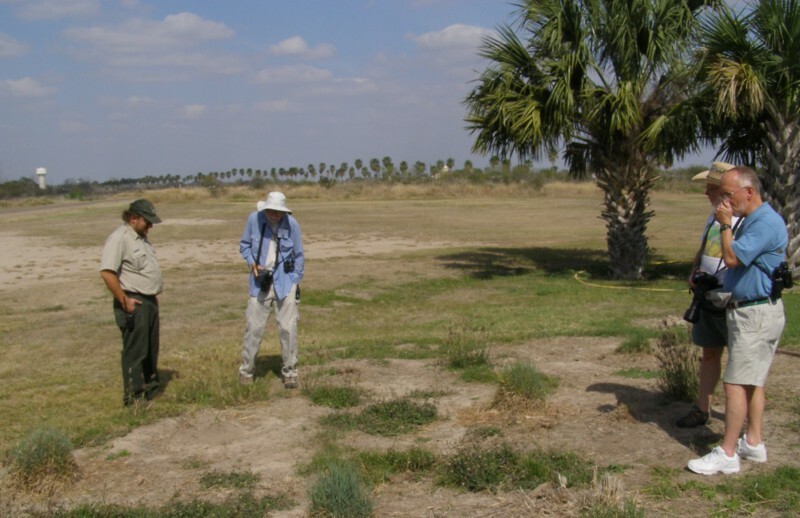 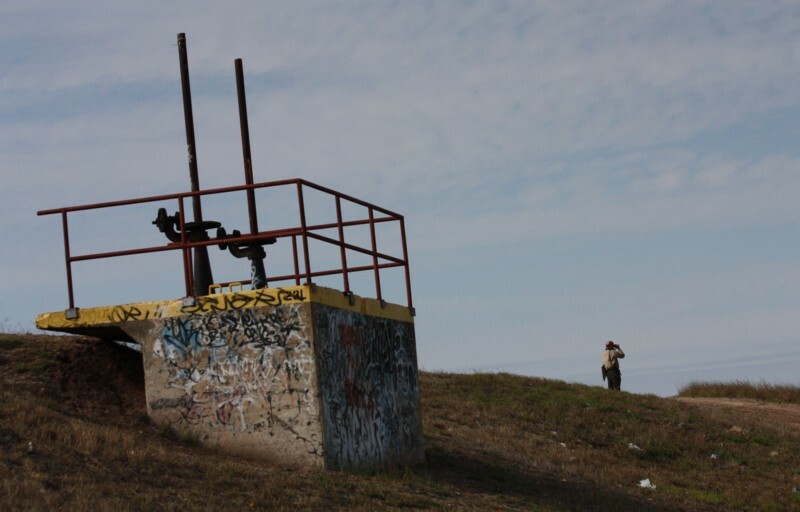 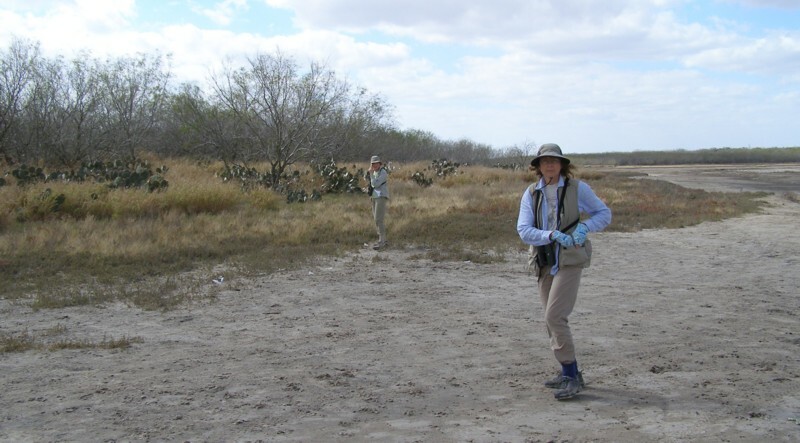 Mary Jane Syvertsen points out something to Joyce Davidson at the Big Wetland on another field trip to the same place. 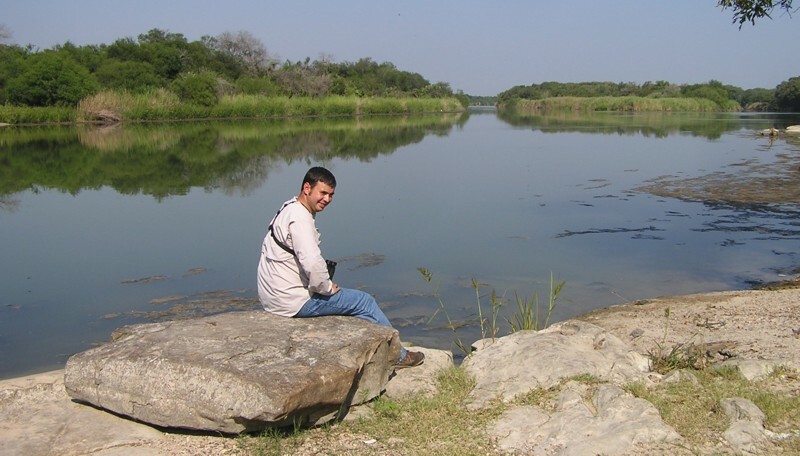 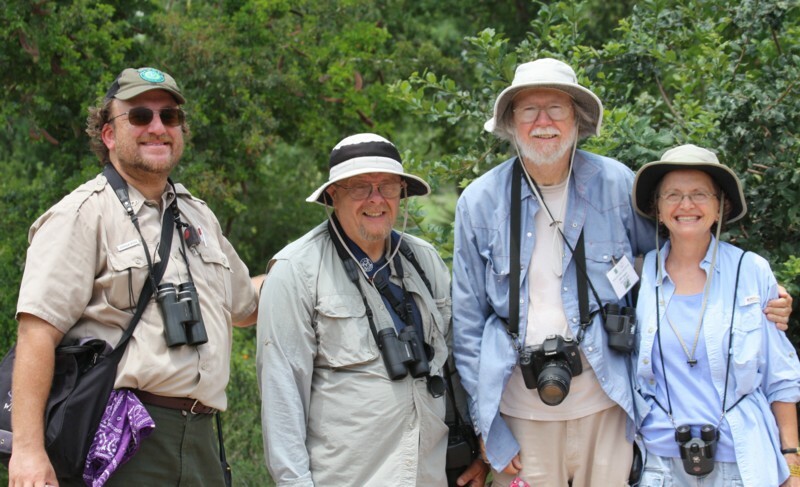 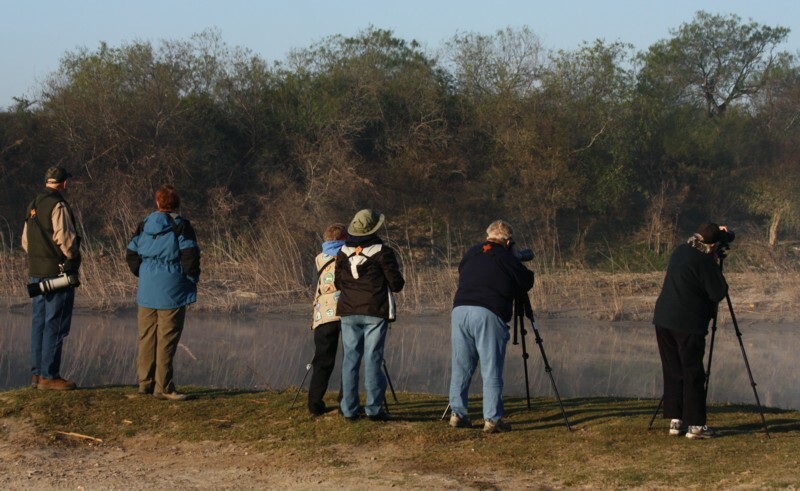 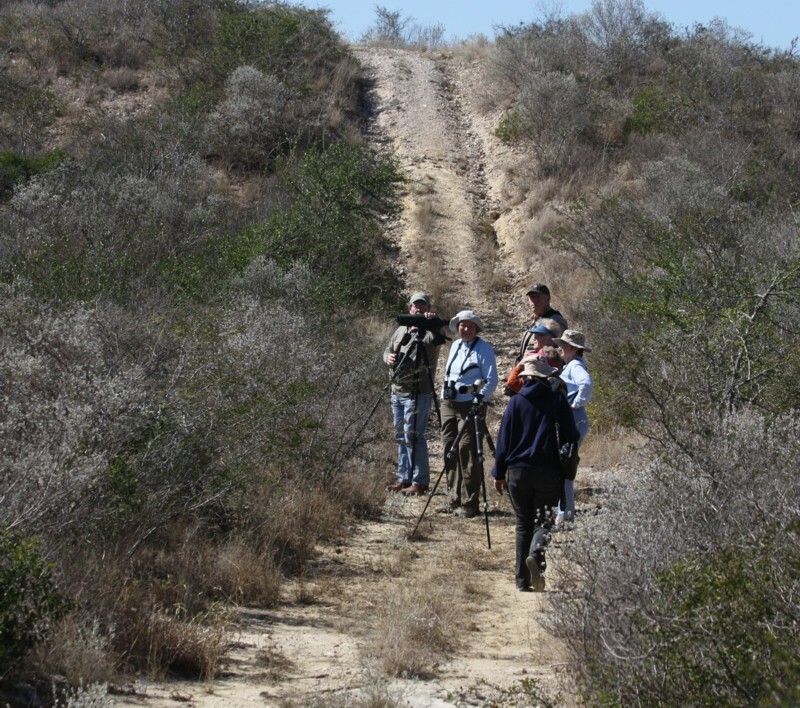 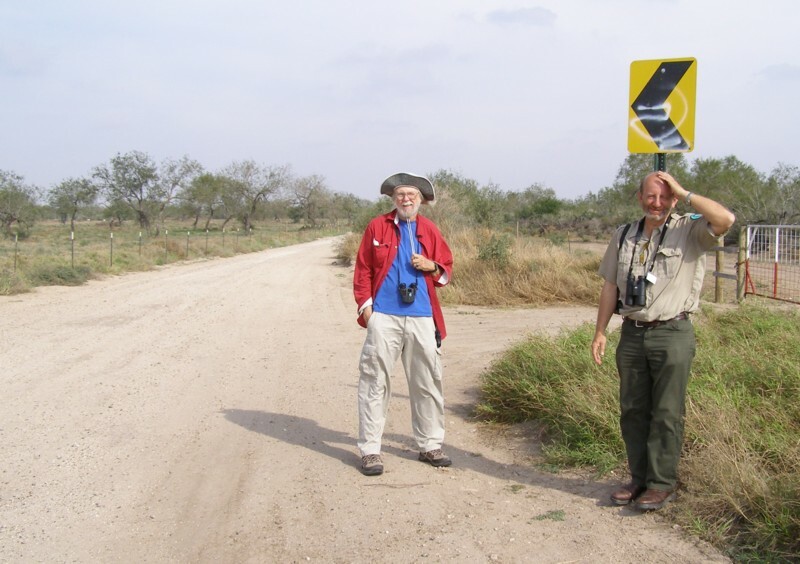 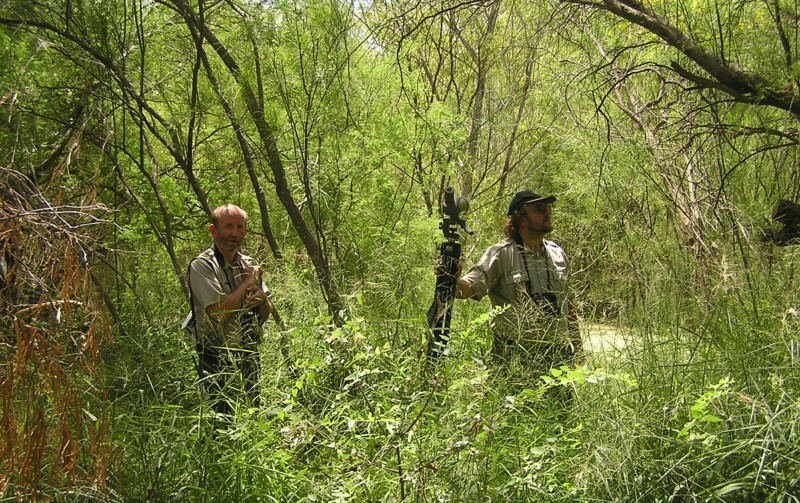 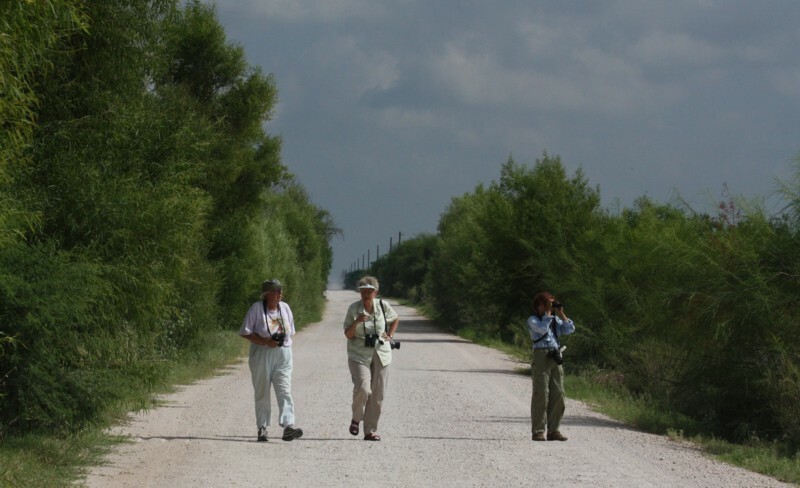 Kyle O'Haver and Huck Hutchins lead a team of "fledglings" at Salineño during the Great Texas Birding Classic! 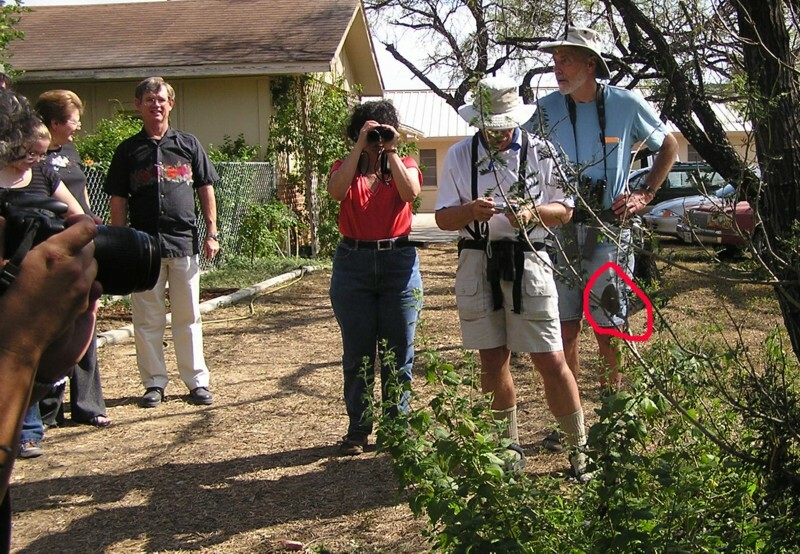 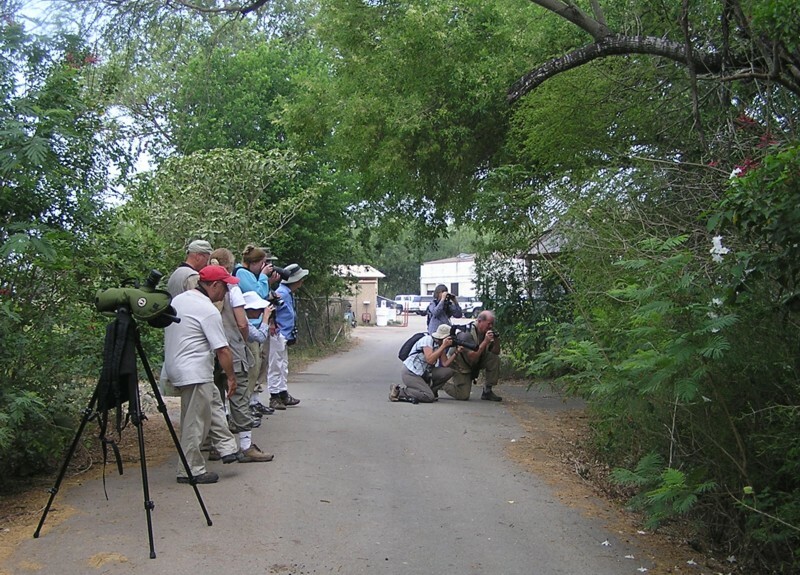 Pastor Berry Nall's congregation (hanging at left) doesn't know what to make of a group of butterfly enthusiasts who show up at his church in Falcon Heights to see North America's first Guatemalan Leafwing (circled in red)! 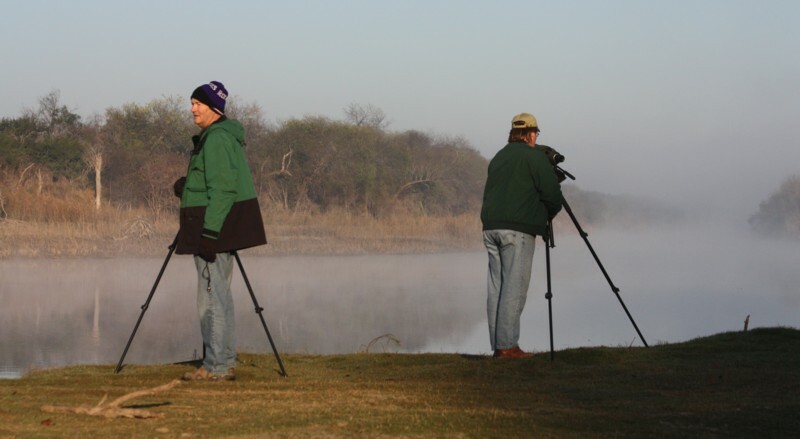 "Think the fog will lift??" 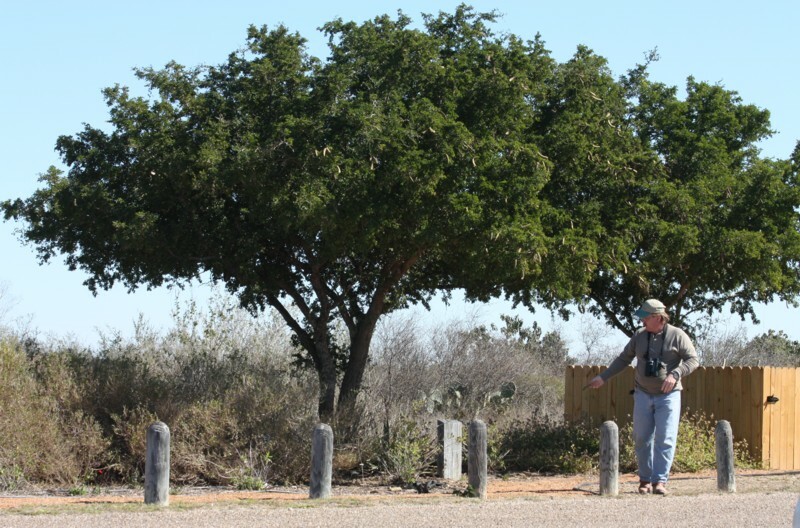 Our leader, Martin Hagne, points out a Texas Ebony tree at Falcon State Park. 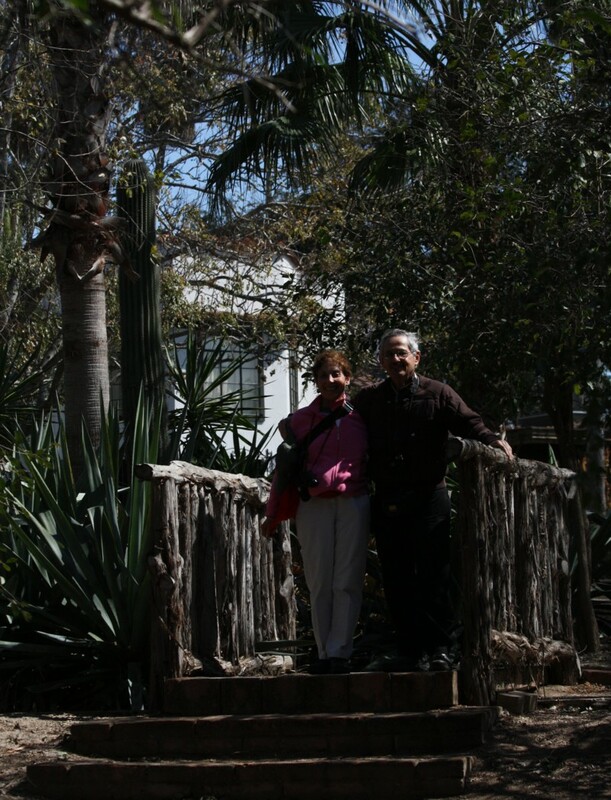 Lenny and Louise Hochron pose at Quinta Mazatlan. 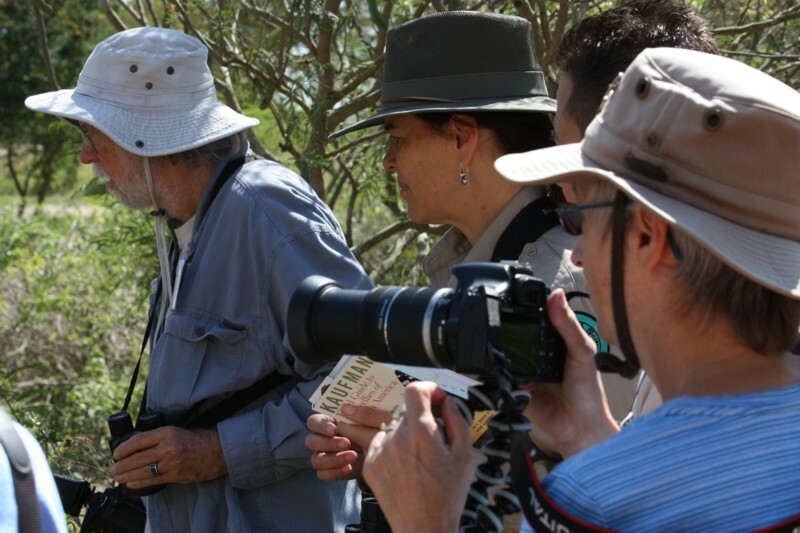 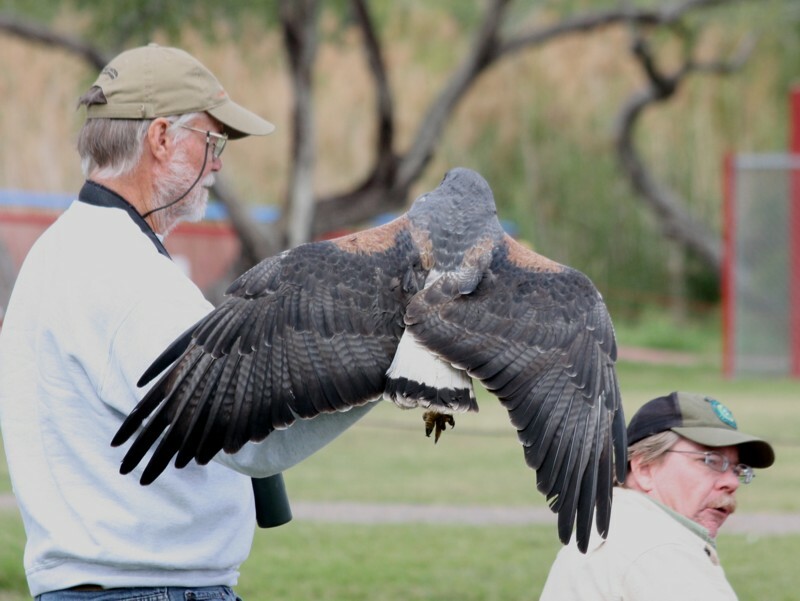 Gary Davidson's friend Paul Whalen records the raptor show next to a burning field in the La Sal Viejas Tract. 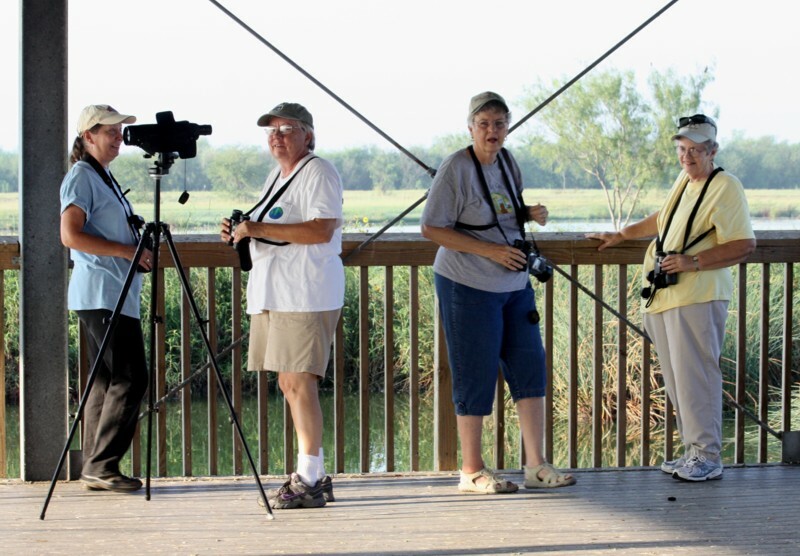 "The girls" enjoy the birds from the covered deck at La Feria Wetlands! 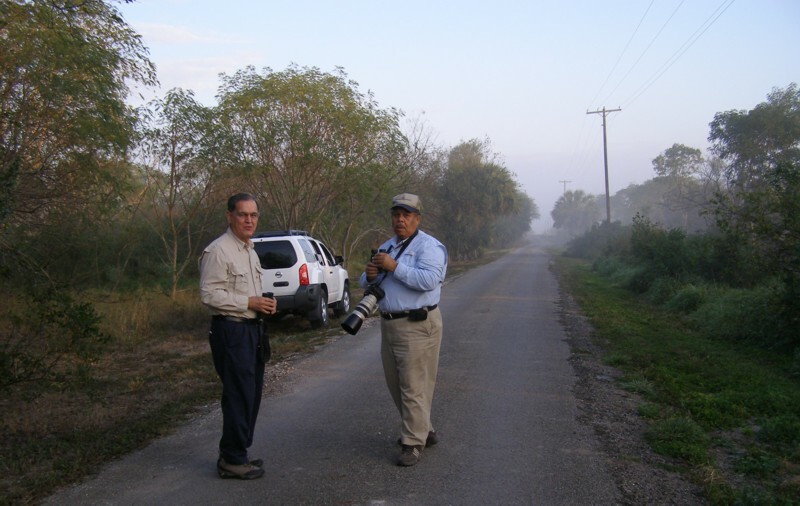 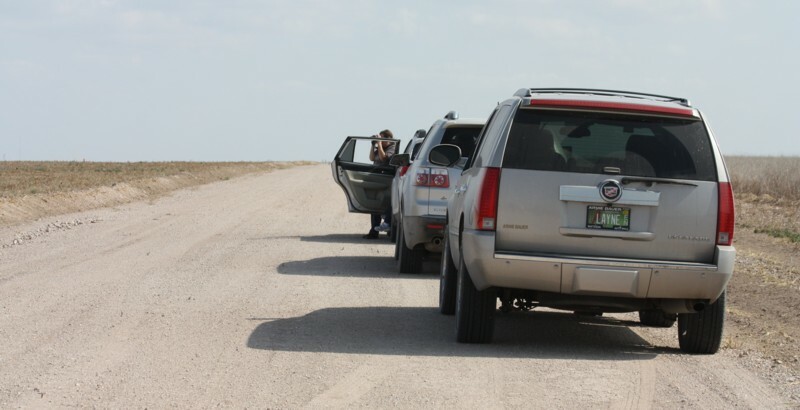 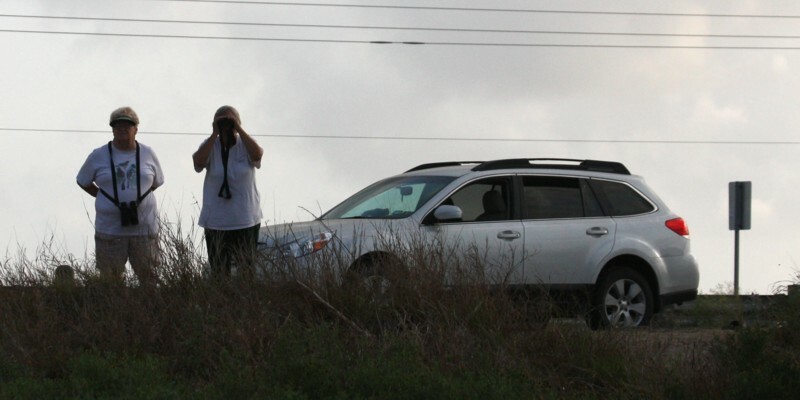 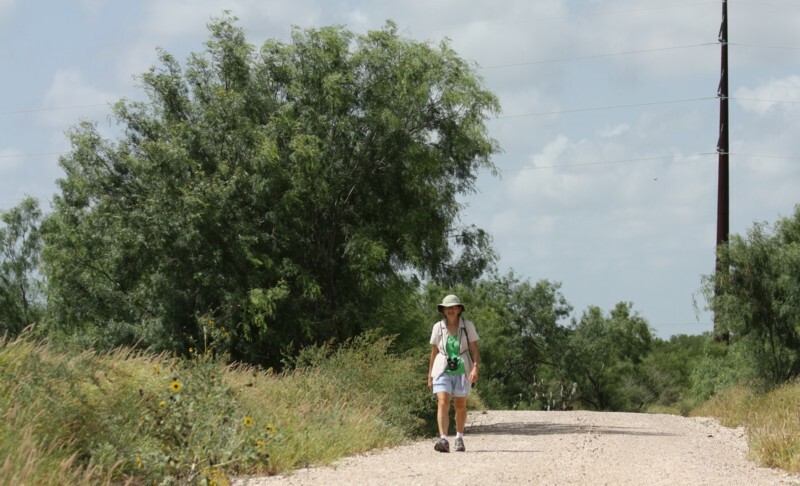 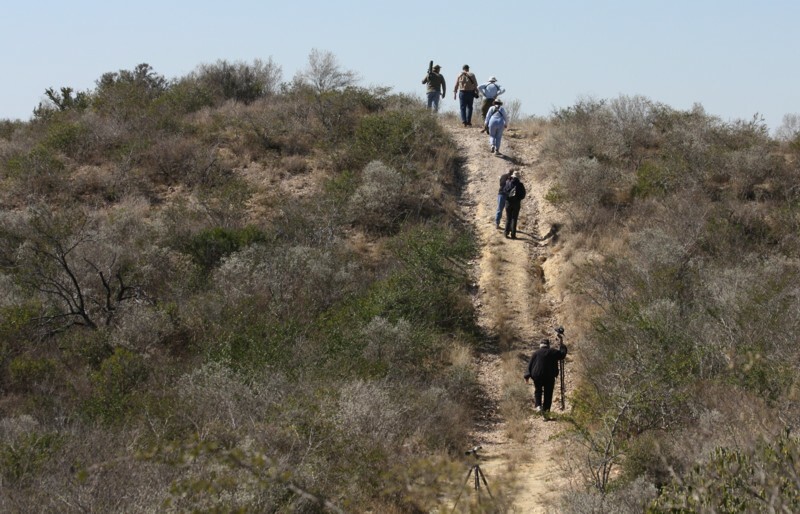 Our caravan in the mega-barren northern border of The Square along the Sparrow Road Route in western Hidalgo County.